Learn all the skills you need to upholster your own furniture. 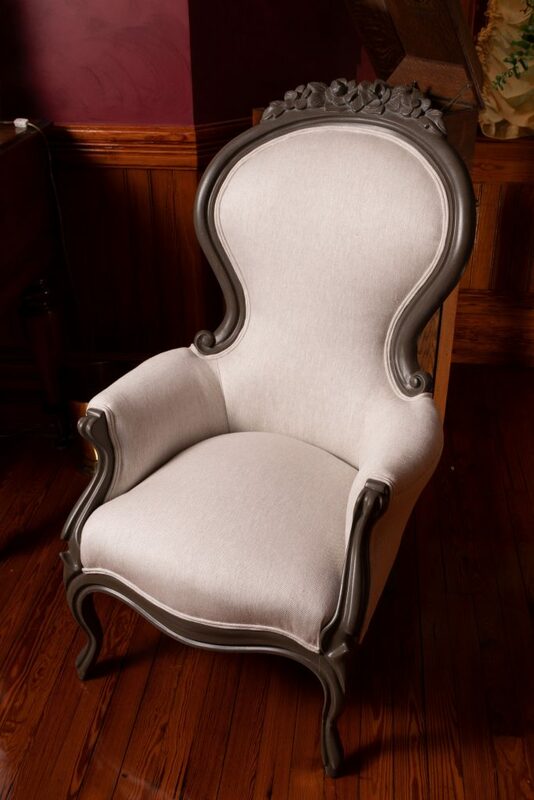 Easy to follow expert instructions by master upholsterer, Patrick O'Hern. This training will equip the viewer with skills to upholster many different styles of furniture. 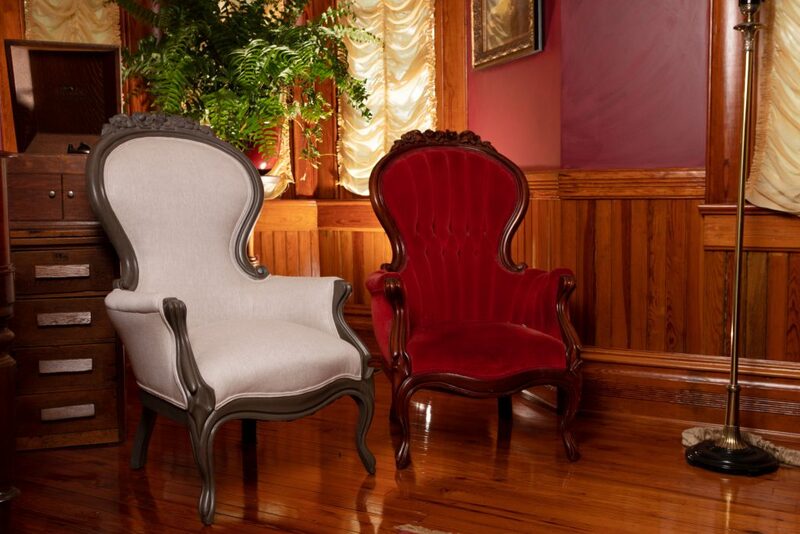 These beautiful Victorian chairs got an updated look. 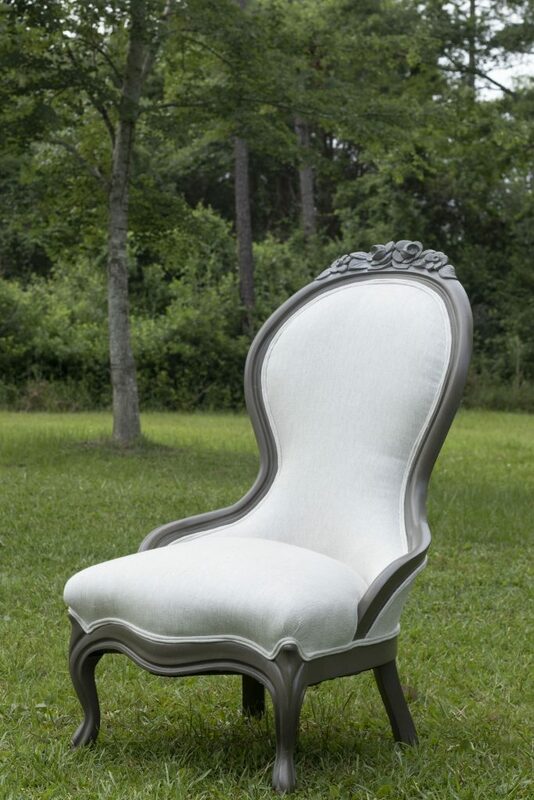 Learn how with the instructional upholstery video. They were covered in a velvet fabric with button tufting. 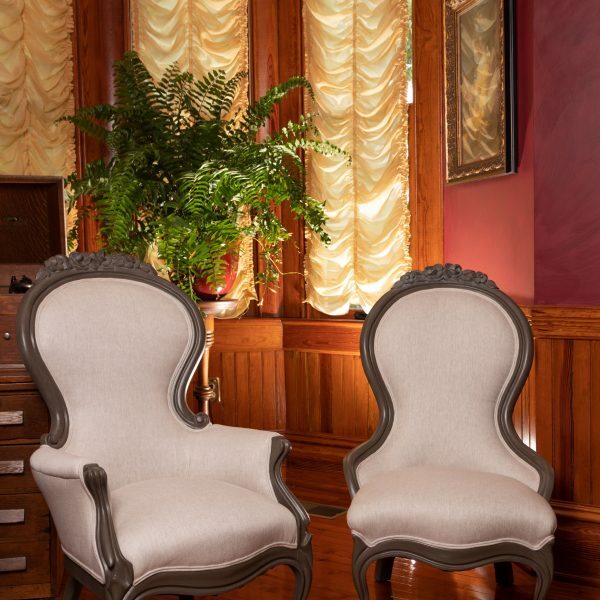 The original antique style did not harmonize with current style trends, however, with custom painted frames and fresh upholstery these chairs transformed into perfect accessories for a modern lifestyle. 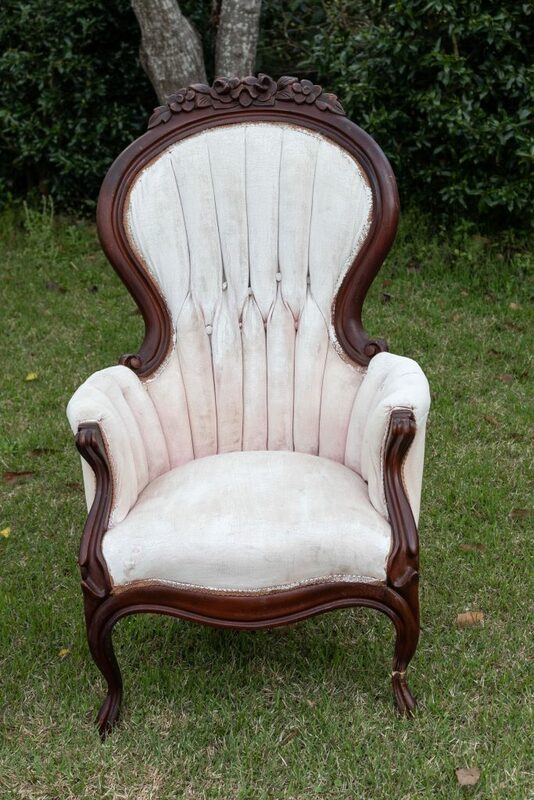 See below the before photo of the gentleman’s chair. 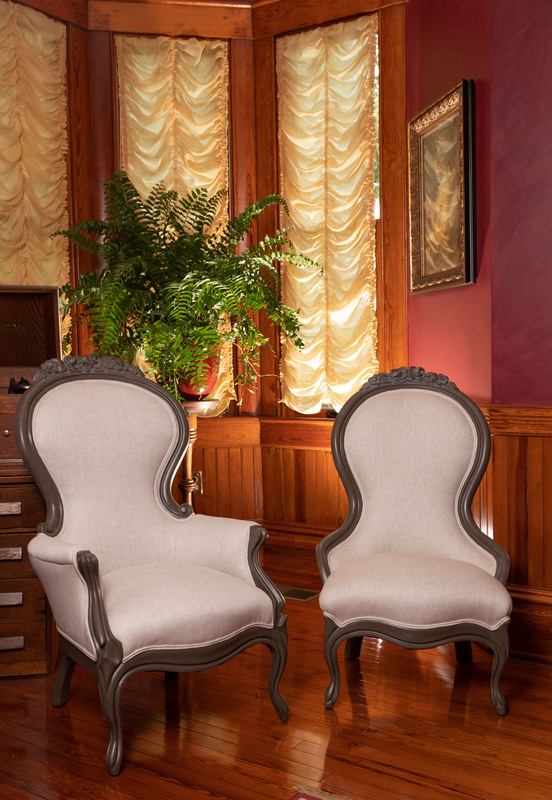 These chairs looked and felt awful since the velvet fabric was painted. In desperate need of a new look! When we purchased these chairs we noticed that the gentleman’s chair had a broken front leg that was repaired and then painted. After their update, these lovely chairs, adorned with linen fabric and coordinating custom paint and glaze, could enhance any interior. Are you ready to give your furniture a makeover and make all of your friends envious? Want to learn a new skill for your side hustle? Our instructional upholstery video can be downloaded or ordered as a DVD mailed straight to your mailbox.